Nginx is a web server , Web server software deal with web pages in response to browser requests. Nginx work on high concurrency, performance and low memory usage. It can also act as a reverse proxy server for HTTP, HTTPS, SMTP, POP3, and IMAP protocols. 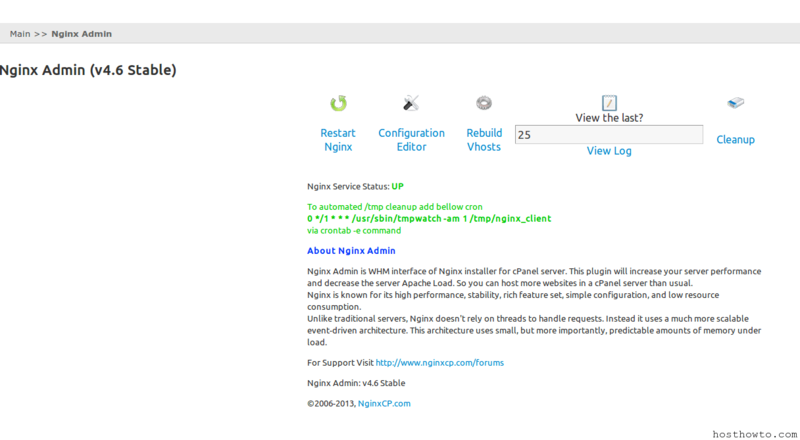 Now you can use Nginx on cPanel server , there is a plugins named ” Nginx Admin ” Or Nginx cP . How to Install nginx on cPanel server?